ODESSA, Ukraine -- Ukraine’s military recorded no major attacks by pro-Russian insurgents on Sunday and a bombing in the port city of Odessa caused no casualties, though frontline troops still didn’t escape without any injuries. Two government soldiers were wounded in 24 hours, with “armed provocations” witnessed right across the eastern regions affected by the conflict, Colonel Andriy Lysenko, a spokesman for Ukraine’s military, said during his daily briefing in Kiev. 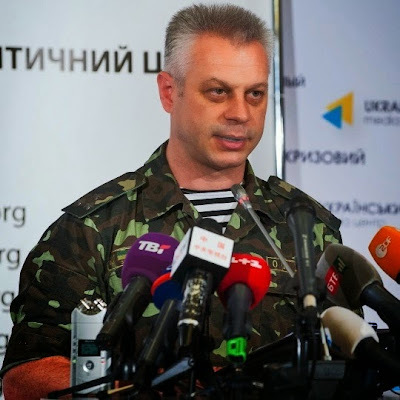 Most tension remained in the town of Shyrokyne near Mariupol on the Sea of Azov and near Donetsk airport, he said. “The situation in the zone of the anti-terrorist operation has somewhat stabilized,” Lysenko said. While casualties have waned following a cease-fire on Feb. 12 in Minsk, Belarus, fighting has sporadically erupted between government troops and pro-Russian separatists. At the same time, Kiev is facing the increasingly onerous task of fixing the economy ruined by months of fighting, cracking down on corruption and negotiating new terms with international bond holders, including Russia. Finance Minister Natalie Jaresko urged Ukraine’s creditors on Tuesday to back a debt overhaul or risk bigger losses. The probability the negotiations will fail and lead to a disorderly default is about 30 percent, according to the median estimate of 21 analysts surveyed by Bloomberg on March 20-26. No one was hurt after a bomb went off at about 10:30 p.m. on Saturday in Odessa near the office of the organization that aids Ukraine’s army, the Interior Ministry said on its website, labeling it a “terrorist” attack. The country’s largest port city has been the target of frequent bombings, most recently on March 5.